In the house of Helios, god of the sun and mightiest of the Titans, a daughter is born. 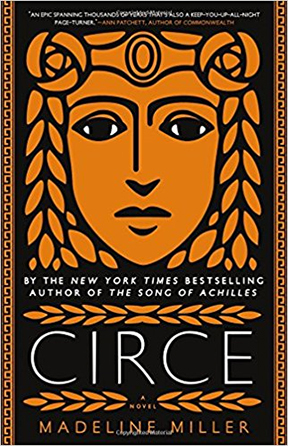 But Circe is a strange child: she doesn’t have the powers of her parents, so she turns to the world of mortals for companionship where she discovers that she does possess power–the power of witchcraft. Threatened, Zeus banishes her to a deserted island. Here is where she hones her craft and meets the most famous figures of mythology. But Circe stands alone, and draws the wrath of both men and gods. In order to protect what she loves, Circe must summon all her strength and choose: mortals or gods. Check this out and many more in the Popular Reading Collection! This entry was posted in Popular Reading Collection. Bookmark the permalink.